The American Express® Business Gold Card isn’t one of those showy new credit cards with a giant welcome bonus, hotel elite status, and airport lounge access (Priority Pass, Amex Centurion etc) — you’ll have to dig deeper to find the real value your business can use with this card. Fortunately, for the right business, the value is definitely there. In fact, if your business can use the offered benefits, you can save thousands of dollars during your first year of card membership. With that said, this card isn’t going to be valuable to all businesses. Just like any business credit card, spending categories need to align, the benefits offered need to be those you will actually use, and you have to find enough value to offset the annual fee. But with up to 4X earnings, free recruiting and online services, rebates on airfare, and the ability to transfer points to travel partners, the card does offer plenty. Could this card offer enough to make it a valued asset to your business? Let’s take a look at all of benefits offered by the American Express® Business Gold Card and see if it delivers enough value for your particular business to justify applying. Earning rewards may not be the most important reason to acquire a business credit card, but it’s always near the top of the list of card benefits. That’s because rewards can help offset bottom line costs such as travel expenses, or even fund an annual vacation you’d otherwise be paying cash for. Membership Rewards points earned on this card are some of the most flexible and valuable points you can earn — and there are plenty of ways to earn them. Hot Tip: For more information on how this card can earn bonus points on advertising expenses, check out our run-down here – the 6 Best Business Credit Cards for Advertising Purchases. Cardholders receive bonus earnings on 2 business spending categories from the above list that will receive 4 Membership Rewards points per dollar spent. You do not have to pre-select your bonus categories as each month your actual spending determines where the bonus is applied. This ensures your greatest expenses earn the greatest rewards. The card comes with a generous $150,000 yearly limit on purchases for combined 4 points/$1 categories. This means you can select 2 bonus rewards-earning business spending categories and earn 4 points/$1 spent on up to $150,000 in total purchases per calendar year. Qualifying purchases made on Amex Travel using the card receive 2 Membership Rewards points per dollar spent. All purchases earn at least 1 Membership Reward point per $1 spent, including bonus category spending that exceeds the annual $150,000 limit. There is no limit to how many points you can earn. Receive statement credits for using G Suite video conferencing. Image courtesy of G Suite Video Conferencing. If your business uses video conferencing, online cloud storage, or file sharing, the $200 in reimbursements that come with this card might just help with that expense! You’ll receive statement credits when using the card to pay for monthly G Suite services (up to $200 total in the first 12 months after card approval). I frequently utilized online recruiting technology when operating my small business, so I know recruiting can be expensive. The American Express® Business Gold Card reimburses up to $249/month for a ZipRecruiter subscription, for a maximum of $2,988 in the first 12 months of card membership. Bottom Line: If your business has hiring needs and could benefit from online recruiting, perhaps $2,988 in statement credits could offset that expense and help your bottom line. Receive 2.5 extra Membership Rewards points for every 10 points you redeem for a first or business class flight on any airline. Or select 1 qualifying airline, use the Membership Rewards “Pay with Points” option, and get back a 25%-point bonus (up to 250,000 points per year). One of the best features of Membership Rewards points is that you can transfer your points to airline and hotel partners. Transferring Membership Rewards points to airline partners can yield the best redemption value for your Amex points. While you have the ability to transfer your Membership Rewards points to hotel partners, it’s not the best value for your points. Having the option is a positive however, especially to top off your hotel rewards account for a specific redemption. Hot Tip: For dozens of creative ways to redeem your Membership Rewards Points for the best value possible, you’ll want to check out this article! Amex Offers provide additional savings for cardholders. Image courtesy of American Express. Too big of a deal to fall under “shopping benefits,” Amex Offers deserve their own heading. You can literally save thousands a year with the Amex Offers that are featured on your online account home page. Just add the offer to your card and follow the purchasing terms/conditions to receive statement credits or additional Membership Rewards points. You would normally have to pay $295 for an annual membership with The Travel Collection by Travel Leaders Group. Fortunately, you’ll enjoy complimentary membership for as long as you have your American Express® Business Gold Card. Airfare discounts — Enjoy airfare discounts on several international airlines and on United Airlines. Ticketing fees are currently waived for cardholders. Hotel benefits — Room upgrades, complimentary breakfast, free Wi-Fi, and a room credit (2 night stay required). Travel discounts — Receive discounted pricing on car rentals, vacation packages, cruises, and escorted tours. Personalized travel planning — Receive professional assistance before, during, and after your travels. You must call 877-485-8053 to register, and you’ll get access to The Travel Collection members-only website. Get VIP event access to the hottest tickets in town with your American Express® Business Gold Card. Image courtesy of American Express. Terms and conditions apply to all protections/benefits. You can access full descriptions and links to terms/conditions for each protection/benefit mentioned here. The American Express® Business Gold Card is not a card you’ll jump to apply for — but review its benefits and earning potential carefully to determine if it can make a positive impact on your bottom line. If you’re in need of recruiting technology or have use for free video conferencing, the card is a wise choice. You’ll realize over $3,000 in annual value from those benefits alone. However, if you won’t find value in these benefits, you’re left with elevated earnings of 4x on select bonus categories, Amex offers, business management tools, and some ancillary travel benefits. If you’ll spend more than $7,500/year in 4X categories, take advantage of a couple Amex offers, and receive a discount on airfare through The Travel Collection, you will have realized plenty of value from the card. To check out other business credit cards for comparison, we’ve put together a full line up of the Best Small Business Credit Cards for Maximum Rewards and Cash-Back. 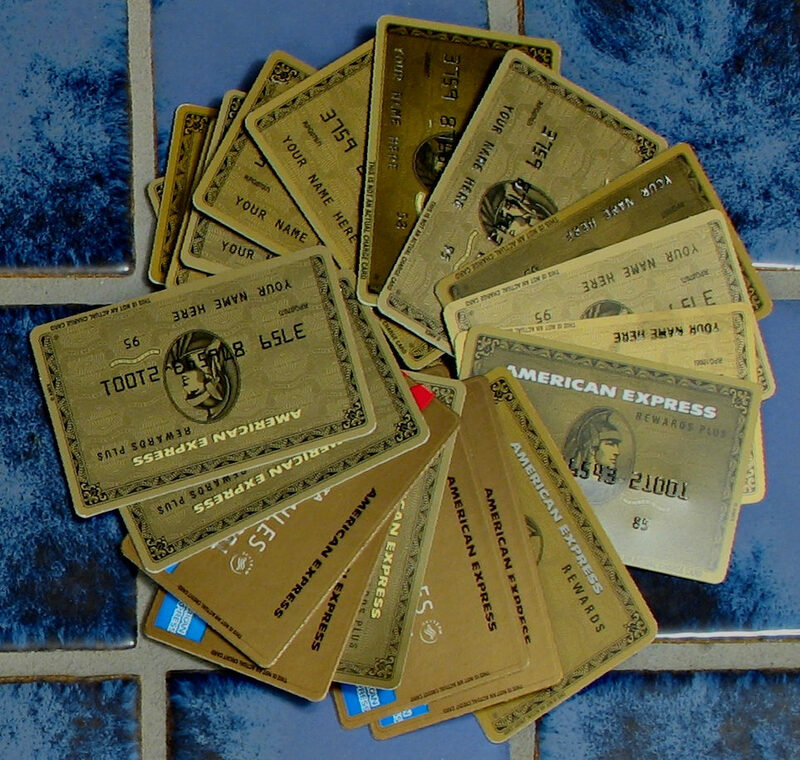 Is the American Express® Business Gold Card worth it? The American Express® Business Gold Card is worth it if the value you receive for your business more than offsets the annual fee. For example, if you’re hiring and paying to use an online recruiting site, this card can save you thousands of dollars in the first year. If you’re paying for G Suite services, you’ll benefit from another $200 in statement credits. If your business cannot utilize either of these benefits, you would need to earn rewards with a value great enough to offset the annual fee. For example, if your business spends $20,000/year for advertising and gas, or other 4X earning categories, then you’ll earn at least $800 in rewards value using a very conservative 1 cent per Membership Rewards points value. How do I redeem Membership Rewards points? Start by signing in to your American Express® Business Gold Card online credit card account. As soon as your Membership Rewards points show up in your account there, they are ready to use. On the next page you will see the total number of points in your account, and below the total is a drop-down menu with several options. You will be able to select an option to redeem your points for travel, go shopping, redeem your points for gift cards, and much more. This is also where you can select “transfer your points” if you decide to transfer your Membership Rewards points to an airline or hotel travel partner. How do Amex Offers work? You will find Amex Offers listed when you log in to your online credit card account. Offers are added frequently, so it’s good to check back often. The offers are located below your account information under “Amex Offers and Benefits.” Click on “Select all” to view the complete list of offers. Once you find an offer that you like, you should read the terms and conditions, then add the offer to your card by clicking on the “Add to card” button. Be sure to review the offer carefully to ensure you’re making the purchase correctly. For example, an offer can be good at Sam’s Club.com but not at the physical store, or at Walmart.com but not the Walmart store. Do I have to pay off the card every month? The American Express® Business Gold Card is a charge card that must be paid off each statement period. There are provisions to pay over time for charges that are $100 or more. These charges will be flagged on your statement, and you can select the ones you want to be enrolled in the option. You can also receive short-term loans from American Express and have them pay your vendors. Both of these options do incur applicable interest charges. Did you know we found 35 benefits of the American Express® Business Gold Card? Hi Aleks! Thank you for your insight and pointing out the changes to the transfer partners. The American Express Membership Rewards website still has Starwood listed but soon to change as well. Also, the ratio is now 1:1. We will be updating the airline transfer list to include Virgin Atlantic and jetBlue changes. As always, the Rewards section of your American Express card home page will show the most recent transfer partners and ratios. Thanks again for the information.